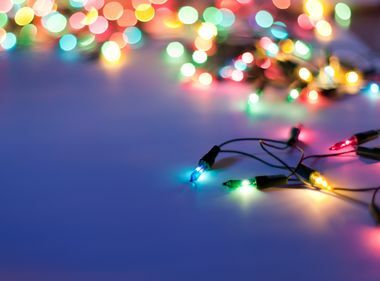 It may be tempting to put off the daunting task of taking down your holiday lights, but keep in mind that holiday decorations are meant for temporary use. Leaving them up for an extended period of time can decrease their shelf life, as well as increase the risk of electrical hazards. Dispose of your Christmas tree early in the new year. Live trees will continue to dry out with time, making them more flammable. Consider finding a local recycling program in your community to help dispose of your tree. When taking down your holiday decorations, remember to unplug cords using the gripping area. Pulling on the cord itself can cause damage to the wire, increasing the risk of electrical hazards. Inspect your holiday decorations and dispose of any with frayed or cracked wiring. Be sure to label and store outdoor and indoor decorations separately so you won’t get them mixed up when next year’s holiday season rolls around. Keep electrical holiday decorations in a dry area and out of reach of pets and children.